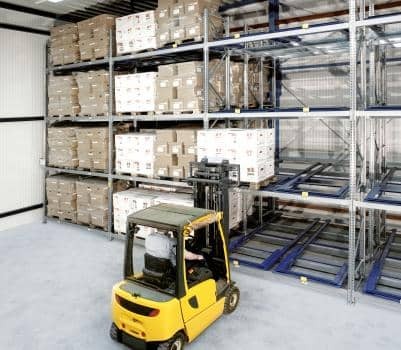 Push back racking combines high-density storage with high-speed access by conventional forklift trucks, ideal for businesses that need to store large batches of the same SKU. 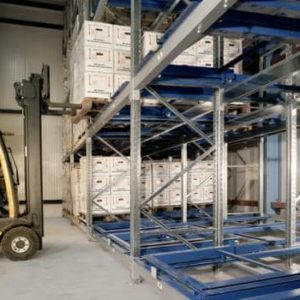 Pallets may be safely stored 2 to 6 deep. 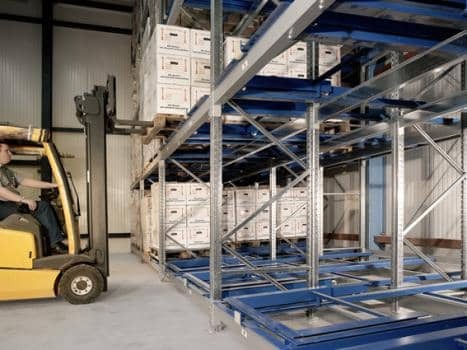 Pallets are gravity fed ensuring the pick face is constantly filled. 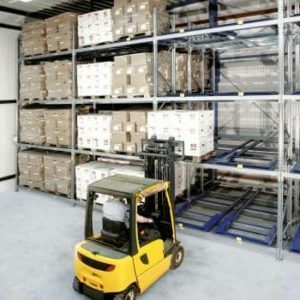 Pallet access is arranged on a Last In First Out basis.